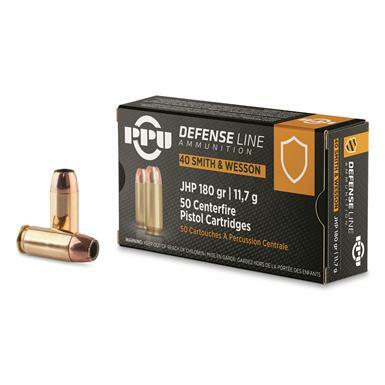 PPU Defensive Line, .40 S W, JHP, 180 Grain, 50 Rounds is rated 4.8 out of 5 by 71. Rated 5 out of 5 by MAC40 from Cost and performance I have been using this brand for USPSA for more than a year. The performance has been excellent and the price too. Rated 5 out of 5 by PACKY from Excellent price PPU rounds are great rounds. I love the 50 rounds of JHP. Rated 4 out of 5 by wolwolver from Price is fair I bought 2 or 3 boxes of these about a year ago maybe longer from SG @ around $15, but I guess due to crazy people and anti gun scares prices raised a little. These shot fairly clean in my S&W with no jamming, FTF, or FTE. Was really impressed with these Serbian rounds. Brass casing is a plus too. Will be buying more on down the road. SG always has awesome deals, my wife hates them, I'm always asking for more money to buy ammo. Got to get my stock supply up, I'm running majorly behind. Hope Negan doesn't come around soon. 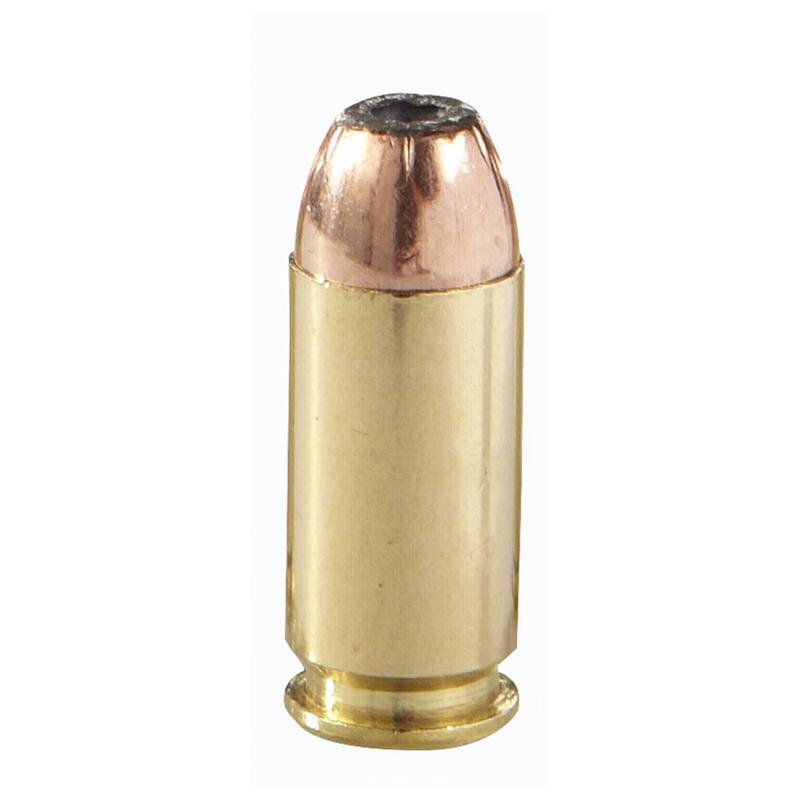 Rated 4 out of 5 by MikeF from GREAT ammo, excellent price. will buy more in different calibers for review. Delivers "big gun" terminal performance out of shorter barrels.